To carry out paint and varnish stripping of all top and base coat of the hull for anti foul paint removal so that the surface is prepared ready for repair and repainting by others as part of the refurbishment programme. Strip and remove deck side paints back to the base material and strip the wooded finish on the topside to allow for re varnishing. The deck paint was very hard to remove as there were several layers. So we had to use two different materials and go over it separately to achieve the desired outcome. We discussed the job at length with the client and he, in turn with the painter at the spray shop, agreed to the finish and timescales. 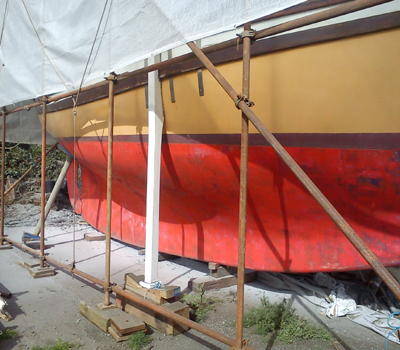 The soda blasting and paint stripping work was carried out at the clients boat yard in Pembroke dock. After first carrying out a test sample to ensure the correct finish to the specification finish of the spray painter, we removed the varnish from the wooden surfaces, the paint removal from the painted deck and de-painted the hull. To use soda the blast method and N02 car stripper soda to strip all of the paint completely from the vehicle and ready prepare the surface to allow easier preparation for the paint sprayer cleaning using a fan blast nozzle N05 at low pressure, 2-3 bar only, to remove all of the unwanted paint from the hull so that it will be best ready for new coatings, saving time and cost at the painters. To find out more about pressure washing from APT, click here. 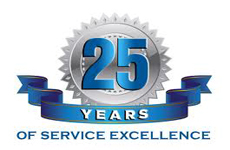 To find out more about the marine cleaning supplies provided by APT, click here.